For an upscale city like Gurugram, solar rooftops offer an ideal option to move towards sustainability in electricity consumption. The city gets high-intensity solar radiation throughout the year and small and large buildings don the city’s skyline. Besides, land availability comes at a heavy premium, thus making rooftops (compared to ground-mounted solar systems) ideal. In fact, switching to solar is a no-brainer. A significant part of the city’s electricity is currently met by gensets that not only create noise pollution but also releases hazardous black fumes—the source of carbon dioxide in the earth’s atmosphere. Producing power at Rs 14-16 per unit despite using subsidised diesel, gensets are not an economical option. Solar, meanwhile, has achieved grid parity. The levelised cost of electricity for 25 years is Rs 5-6 per unit, which is cheaper than grid power. However, what is impeding the growth of solar is the high upfront cost as well as lack of comfort with technologies, financing options and finding reliable vendors for installation and maintenance. Thankfully, Haryana has a very progressive solar policy. The new solar policy of Haryana announced in 2016 has set a target of adding 4,000 MW in the next five years. Out of this, 1,600 MW will be added through solar rooftops. (So far, only 37 MW of solar has been installed in the state). The net metering regulations in the state (announced in 2014 and fine-tuned in 2015) ensure that consumers can become power exporters by installing net meters at their premises and exporting surplus solar power to the grid. The consumers get a discount on their electricity bill as units generated from their solar plant are subtracted from the consumed units. Besides, Haryana is also one of the few states that have mandated every building with a 500 square yard or more plotted area to install solar panels that meet at least five per cent of its energy needs. The net metering policy of Haryana allows the solar generating consumers to export solar electricity at the “same price” at which they are buying conventional power from the grid. So, as the price of conventional power rises, so will the price of exported solar electricity from the consumers’ premises. Secondly, since a consumers’ consumption from the grid reduces due to switching to solar, they shift to a lower slab in the tariff rate card, and lower slabs ensure lower per unit electricity rates. The third incentive for those putting up solar is a rebate in electricity bill of Rs 1 per unit (for residential sector) and 0.25 paise per unit (on other sectors) on the gross amount of solar generation at the end of the financial year. These incentives notwithstanding, there has not been widespread enthusiasm in switching to solar. Keeping aside the fundamental issues of awareness and acceptability, consumers, who seriously intended to switch to solar a couple of years ago, are stuck in procedural wrangles. 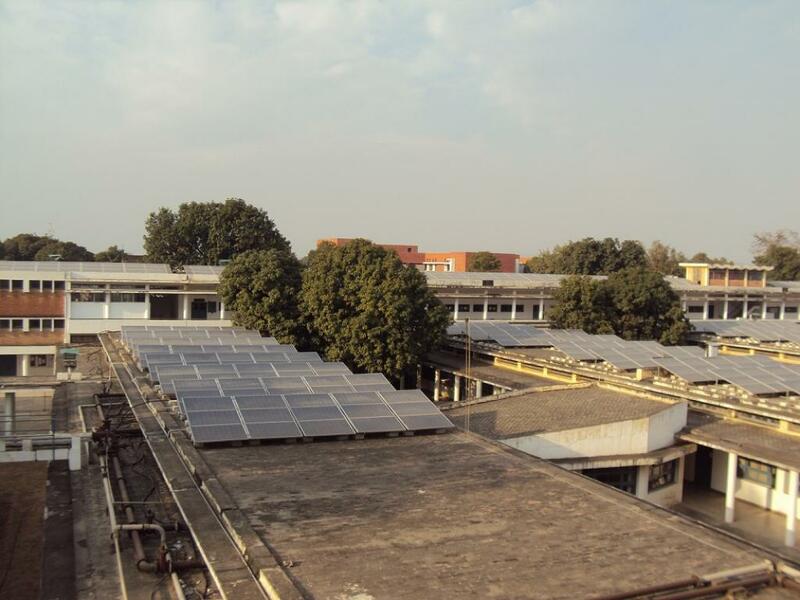 Both the Haryana Renewable Development Agency (HAREDA) and the net metering implementing agency, Dakshin Haryana Bijli Vidyut Nigam (DHBVNL), were off to a slow start. While HAREDA was slow in allaying technical concerns of consumers, DHBVNL was slow in finalising and installing net meters, operationalising them at consumers’ premises, training their staff to handle the bi-directional meters as well as making its billing software aligned with net metering. Those who applied for subsidies also found a long waiting period and the entire process cumbersome. Things have changed in the last one year or so. Given the new thrust, Gurugram has been allocated a large target of providing subsidy (30 per cent of the project cost or Rs 20,000 per Kw, whichever is less). The subsidy is available to residential buildings, schools, medical colleges and hospitals. The subsidy granting mechanism has been decentralised. The application will now be processed directly by Additional District Commissioner of Gurugram, who is also the chief project officer, Renewable Energy Department. Besides, the administration has launched a “single-window” system for all clearances and approvals at Renewable Centre at Leisure Valley in Sector 29 in Gurugram. Also, the application for subsidy and net meters are available online at www.hareda.gov.in. Some issues still bother residential consumers. For instance, when grid power stops due to an outage, solar generation at their premises, too, stops. The solution to this problem is to have a hybrid system that has a combination of solar, battery and grid power. However, it comes at double the cost. Yet, another option is to go “off-grid” but that defeats the purpose of gains that can be made due to net metering. Being a sunrise industry, the government and local administration will need to sort these issues and concerns. So far, only 17 MW of solar rooftops have been installed in Gurugram without subsidy and 1 MW has been installed with subsidy. But the scope is immense. The presence of industries, malls, schools, hospitals, commercial centres and IT hubs makes it imperative for Gurugram to pursue a more aggressive implementation of solar rooftops. Citizens and school children can visit the National Institute of Solar Energy (NISE) located in Gwal Pahari in Gurugram to learn more about solar and its technology. Now, the headquarters of the International Solar Alliance (a confederation of 121 countries) is also located in Gurugram. It is high time that all stakeholders put their worth together to convert the vision of Gurugram becoming a solar city into reality. What ails India’s solar energy drive?